"What made this the most diabolical murder weapon ever used?" Aspiring filmmaker Mark Lewis isn't exactly making a name for himself in the film industry. Employed as an assistant cameraman for a London film studio, Mark turns to the pornographic industry for part time work. When the female subjects of his photographs begin to turn up missing, Mark draws the police in closer. Will Mark finally get his big break in showbiz, before the police catch on to his motives? 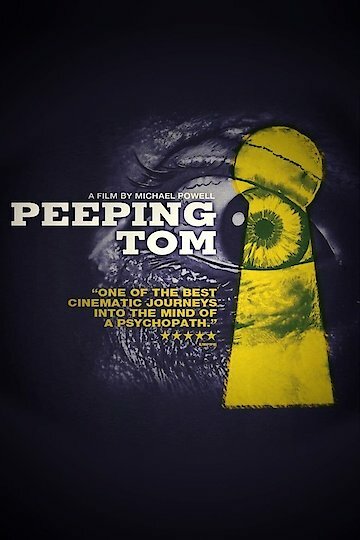 Peeping Tom is currently available to watch free on Tubi TV and stream, download, buy, rent on demand at FlixFling, iTunes, FlixFling VOD, Google Play, YouTube VOD online.